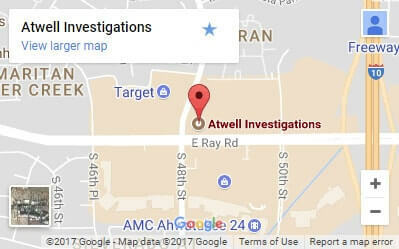 Atwell Investigations is a full spectrum investigative company led by professional investigator, Jax Atwell. A licensed private investigator, Jax is well known for his star investigator role in History Channel's "Missing in Alaska" and the forthcoming show, "Journey with Jax". Atwell Investigations employs the assistance of experienced, professional private investigators trained to meet the need of the case at hand. Our investigators are not only highly trained with broad investigative backgrounds but we fit many niches to infiltrate anywhere. We’re licensed to investigate cases in Arizona, Montana and Idaho, and will go to where ever the trail leads us. Contact Atwell Investigations today to see what Jax and the rest of our investigative team can do for you. Jax has more than ten years of investigative experience in law enforcement agencies in Arizona and California. His investigative law enforcement experience and training include under-cover operations, narcotics, SWAT, person and property crimes, etc. Jax has been a private investigator since 2008 specializing in the hard to solve cases such as cold cases, civilian, business and government investigations. Additionally, Jax was part of a team of three that explored cases of missing people in History Channel's "Missing in Alaska." When Jax is not perusing the truth in his investigations he finds time to throw himself at acting roles. He has been in a number of productions since 2013. No matter whether it’s on an investigative team or on-set of a motion picture, Jax brings with him a lot of energy, enthusiasm and a fierce work ethic. Call 1-866-925-6867 for a Free Consultation today!